I started it in 1998, right after we got a computer (it was old then and couldn't go on the internet), and tweaked and worked on it off and on for five years, before I signed up at GBN, started to talk about it some, and was talked into releasing it. It's the reason the Ectozone exists, really. Concept#1: The Gozer battle happened in 1983. This allows the Ghostbusters time to become famous before the movie is made and released in 1984--an event depicted onscreen in the RGB episode "Take Two"
Concept#5: Extreme Ghostbusters happened. It was controversial and not well-liked, but it continued the pseudo real time progression from RGB. It was officially licensed by Sony, Joe Medjuck and Richard Mueller participated in it, and did not contradict any earlier material. And hell, I liked it and it's my Timeline, right? I'd like to thank the much-missed Matthew Riddle, Brian Reilly, Kingpin, and a lot of other people for their advice and help with this undertaking. Yep, that about sums me up. Your post got sent to a new topic in the Animation section. I needed to get an EGB topic started anyway, it makes more sense there, and it let me get to try out the Topic Merging button. Fritz, I must confess to being a tad confused. Why is that Rose Rivera's future romantic encounter is not listed in the timeline? I probably got lazy and forgot to take a note of when they met; off the top of my head I'm not sure when that was. Either tell me or remind me which story to check and I'll get that fixed. They meet when they start college, which by my calculation would be September 2022 (Rose not having inherited her mother's inability to keep track of whether she's seventeen or eighteen). As you probably remember from this short story in which I am so cruel to Max Miller, they don't exactly jump on each other straightaway; but of course, this is where their relationship begins (it's definitely a revelation to Rose, but I really don't know how far along Anna is with discovering her sexuality at this stage). I've done some rewriting and revision to the Timeline main page, some of which was probably way overdue--there were sections of the page that still reflected the days when it was only the movies and the two cartoons. I also did some minor tweaking of the GBI version, but all it involved was moving the Eras list above the Canon Notes. Since the Eras are what people care about more, I found myself unable to remember why I did it differently in the first place. Can I be really picky? Natalie was actually born in December '99. Which reminds me, I have some more stuff on that for an email that will have to wait until much later tonight. *An addition (not a true "retcon") to the environmental condition created by the Zodiac Lords. I'm leaning against changing much of anything until the game is out. I'm not opposed to hashing out what changes might need to be made once it is, but I'm not inclined to do any "preemptive retconning" right now. It's just like with Legion: I didn't put it into the Timeline until the mini-series was actually out and finished. I plan to address my concerns about such things in a little more depth soon. Fritz, you know I'd never deal with anything that I know wasn't set in stone. Retcon was probably a bad word to use. I'll have that email finished within the hour, everything will most likely sound better there. I think you'll find Emma Rivera is going to be born in 2018. 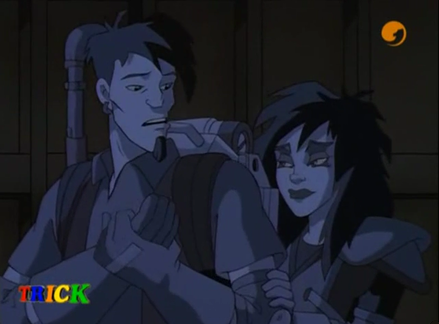 I have an idea about a potential change in the Timeline regarding the Extreme Ghostbusters cartoon. I propose stating that the cartoon came out a year after the events it depicts, so it came out in 1998. This would keep the original ghostbusters from finding out the new team via the cartoon, and hey, the RGB cartoon happened in the Timeline, so why not? Note: Yes, I know that EGB came out in 1997 IRL. This change is in regards to the Timeline universe. But it's up to Fritz whether or not it gets put in, so I'd like to hear his opinion. At the moment, there isn't mention of an EGB cartoon in-story, so that could be done if we really wanted to. Could be one of those things explaining why Venkman still lived in LA most of the time before 2001/2002. Early on I thought about suggesting having the events of EGB happen in 1996, but decided against it; I figured I'd pushed my luck with the 1983/1984 issue, and decided to accept concensus on this one. 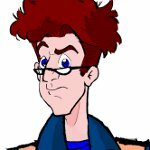 I wouldn't change the 1997 date now, though--after five years of fan fics would be about as difficult as shoving a Marty Stu Fifth Ghostbuster into 1991. The other idea would be that, not being the big superstars the original guys were in the 1980's, they may not have had a cartoon? I'd be interested in seeing what Rosey says before we do anything with this.